D2 new ladder has begun! D2 new ladder has begun! New ladder items is coming! It’s that time again! On the morning of Tuesday, May 30, we’ll be conducting maintenance in order to reset the Diablo II ladder. We anticipate the realms could be down for up to six hours, and during that time all existing ladder characters will be converted to non-ladder. All characters and items being converted to non-ladder will remain intact, but once converted these characters will no longer have access to ladder content such as ladder-only rune words. This ladder reset, like all those before it, creates a clean slate where all ladder characters begin at level 1 with no previous items to help them. To participate, simply wait until the Diablo II realms return to service on May 30, log in to Battle.net, and select the “Ladder Character” checkbox when creating a new character. You can track ladder character leveling progress by clicking on the Ladder button from the main Diablo II in-game Battle.net interface. It’s that time again! On the morning of Tuesday, November 22, we’ll be conducting maintenance in order to reset the Diablo II ladder. We anticipate the realms could be down for up to six hours, and during that time all existing ladder characters will be converted to non-ladder. All characters and items being converted to non-ladder will remain intact, but once converted these characters will no longer have access to ladder content such as ladder-only rune words. This ladder reset, like all those before it, creates a clean slate where all ladder characters begin at level 1 with no previous items to help them. To participate, simply wait until the Diablo II realms return to service on November 22, log in to Battle.net, and select the “Ladder Character” checkbox when creating a new character. You can track ladder character leveling progress by clicking on the Ladder button from the main Diablo II in-game Battle.net interface. Diablo II Ladder Reset & 1.14c Patch and new ladder items arrived! Start deciding your next build, because it's ladder reset time. We'll take the servers down for maintenance on May 17th at 10:00 AM PDT. Expect a few hours of downtime. The maintenance will also include Patch 1.14c that addresses a few bugs from the a and b patches. New ladder items arrived! New Ladder Again! New Ladder Items is Arrived! An old CDKEY MPQ Maker. Support 16 and 26 Digit CDKEY Set. Easy to use. Cdkey mpq shell file. NOTE: This is a banned cdkey. It does not work. It is simply here to give you a mpq file to put your key files into. Install the 26 char version of Diablo II (whatever came with your keys). Open d2char.mpq in MPQ Editor, select "Open the MPQ in read-only mode" when asked, leave all other options as is. Open d2sfx.mpq in MPQ Editor, select "Open the MPQ in read-only mode" when asked, leave all other options as is. Open the cdkey mpq file, leave all options as is and make sure the "Open the MPQ in read-only mode" is not checked. Put the files you extracted back in the cdkey mpq file (drag and drop) overwriting the files present. When adding the .cof file just leave the settings as is. When adding the .wav files, change the .wav rule to add as a "Data file". Make sure "Compression method" reads as "Compress" and "Encrypt file" as Yes. Your cdkey mpq file should now have the key you installed the game with. Repeat as needed (you will need to install from scratch for every 26 char cdkey you wish to install). Edit: Added a shell cdkey mpq file. Removed serby key changer. Edit: Clarification abt how to handle multiple 26 char keys. 8) Repeat Step 6 and 7 for your Expansion CD-Key. It’s that time again! On the morning of Tuesday, November 25, we’ll be conducting maintenance in order to reset the Diablo II ladder. We anticipate the realms could be down for up to six hours, and during that time all existing ladder characters will be converted to non-ladder. All characters and items being converted to non-ladder will remain intact, but once converted these characters will no longer have access to ladder content such as ladder-only rune words. This ladder reset, like all those before it, creates a clean slate where all ladder characters begin at level 1 with no previous items to help them. To participate, simply wait until the Diablo II realms return to service on November 25, log in to Battle.net, and select the “Ladder Character” checkbox when creating a new character. You can track ladder character leveling progress by clicking on the Ladder button from the main Diablo II in-game Battle.net interface. 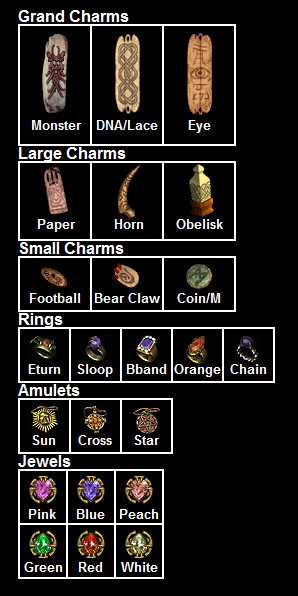 What is the shape of the diablo 2 items you like? How to socket with cube? How to upgrade Rare Items? How to upgrade unique items? It’s that time again! On the morning of May 27, we’ll be conducting maintenance in order to reset the Diablo II ladder. We anticipate the realms could be down for up to six hours, and during that time all existing ladder characters will be converted to non-ladder. All characters and items being converted to non-ladder will remain intact, but once converted these characters will no longer have access to ladder content such as ladder-only rune words. This ladder reset, like all those before it, creates a clean slate where all ladder characters begin at level 1 with no previous items to help them. To participate, simply wait until the Diablo II realms return to service on May 27, log in to Battle.net, and select the “Ladder Character” checkbox when creating a new character. You can track ladder character leveling progress by clicking on the Ladder button from the main Diablo II in-game Battle.net interface. Newes! Diablo II Ladder Reset – November 26! 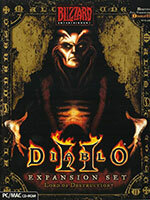 Diablo II Ladder Reset – May 14,2013. All Ladder Items Have Been Reset. All ladder items is coming. this process need 5-7 days. please contact our msn messager billrune@hotmail.com for d3 gold. 10% OFF if any of your order over $10. All Ladder and NON-Ladder items updated on Feb 29,2012.